Today I’ve invited my friend, Kelly Balarie, to the kitchen table. Kelly is one of those spiritual cheerleaders…the kind that encourage you to never give up! She’s written a passel of articles and some great books, but the truth is, she’s just like you and me. She’s had some tough times, and now she loves to share about how to be battle ready and victorious through it all. Let’s welcome Kelly. Oh, and at the end of the post, you’ll have a chance to win a copy of her new book, Battle Ready! We battle because of what we see in front of us. Our child is not respectful. Our husband doesn’t understand us. Our job is not changing. Our dreams aren’t working out. Bills continue to accumulate. Our health is deteriorating.Suddenly, and often subconsciously, doubt creeps in. I won’t make it out of this. Things won’t turn out well for me. I am going down. There are no answers. This is an impossible situation. The more we fight against what we see, without gaining ground, the more discouraging everything becomes. God, you are not here for me. I’m all alone. I have to fend for myself. I can’t trust you, God. I’ve been there. In some ways, I am there. Everything that I thought should-be, well…is-not. This should be better by now. Rather than seeing a squad of 10-foot Goliaths in front of me, I choose to see other things. David remembered what God did, trusting God would do it again. The small mission found in today. David was asked by his father to bring food to his brothers and the commander who were at war. He followed through. This was a divine set-up. God positioned David just right to defeat the giant. My mustard-seed sized faith, rather than all the doubt circling around me. David didn’t get swayed by others doubt; he believed in what God could do. Even though Saul dressed David in his armor, helmet and sword, David did not try to be someone else. Nor did he try to please or appease Saul. Rather, David knew who God called him to be. He trusted God’s work in him. David won the battle with the unlikely weapon of a sling and 5 smooth stones. David’s seemingly ridiculous strategy ended the battle after – just one shot. Faith won. It always will. If we let it. If spiritually we choose to see it. We can choose to see what we do not see: God’s faithfulness, Christ’s victory, God’s promises and protection. This kind of faith defeats giants. They, at the right time, in God’s way, fall right before our very eyes. If you’re ready to be battle ready, leave a comment below. 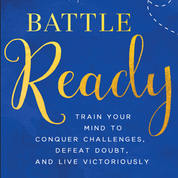 We’ll randomly pick one comment to win a copy of Kelly’s book, Battle Ready: Train Your Mind to Conquer Challenges, Defeat Doubt, and Live Victoriously. How exciting! I am thrilled to buy this book. Please keep recommendations coming! There are certainly battles happening in my life right now. Thank you for these words at just the right time to help me know that I’m ready for battle. God is always faithful! Love how our God fights for us when we don’t fight him! Ready to stand firm and live free! I woke up this morning, and needing this confirmation as I have been in a spiritual wilderness for about 2 weeks. One critical piece hit me…Remembering the Lord’s past faithfulness. The amazing thing about God is what He’s done before, He most certainly can do again. This brings me so much encouragement. Be blessed, Brittany. Beautiful devotion. Would love to be Battle Ready. I am ready to face the giants in my life rather than acting like they don’t exist, trusting God to see me through. God knew just what I needed to hear this morning. Always right in time. “Battle Ready” seems to be a common theme over this past year. That is what a lot of my Facebook post are about. I feel like the trump is sounding and God is calling us to don our armor and get ready to do battle. In the midst of me answering that call (started tithing my full tithe in May) the enemy has launched a viscous attack thru my husband (seeking an ungodly relationship outside our marriage). I told my pastor it’s proof I am doing the right thing. Even though it hurt, I am moving forward in battle. Currently reading The Power of a Praying wife and just ordered several of your books. Reading the one about being enough next because my self esteem did take a hit and I am fighting that battle as well. Good morning. I am battle ready but seems that every day I am get ready, I have one more thing to concur and need extra courage to defeat. I know the feeling. I pray that God pours out extra grace for you, Josie, so that you can stand firm in every battle. With chronic pain every single day of my life, it is a battle that makes me so very weary. I want to give up sometime. I’m 61 years old and having breast cancer last summer made it worse. Please pray for me. I would love the book. Thank you very much for sharing this perspective! I can very much relate to the mental battle of choosing to remember God’s faithfullness in past times, vs believing He will do what I desire because He has said in His word that whatever we desire and ask for it in Jesus’ name, we will get it. Only He sometimes takes really long in my eyes…….but I am learning to trust Him to sustain me as I wait for the victory. Yet, so many times I fail as I wait…and I wonder, is my faith genuine? Confusion……I wish you every blessing as you keep being a blessing! Hi Charity, Your comment made me pause. I don’t know you and I’m not sure what you meant exactly but your wording grabbed my attention. “believing He will do what I desire because He has said in His word that whatever we desire and ask for it in Jesus’ name, we will get it.” If you are thinking of John 14:14, it’s important to read the entire quote which starts in verse 9. But even going back one verse to 13 which says, “And I will do whatever you ask in my name, so that the Son may bring glory to the Father.” A question I always ask myself when my prayers don’t seem to be getting answered is, “Will my request bring glory to the Father or is it only MY desire?” I’ve been in the place where I was confused because I didn’t realize God promises to do whatever we ask for in HIS will in His Name, not MY will in His Name. God bless you. This book sounds awesome…I need to learn how to deal with Satan and his battle with me. He seems to remind me of my past and all the bad things. I am a strong believer now and God has transformed me miraculously but I can still learn and use whatever resources I have to get closer to our Lord. The Holy Spirit lives in me. Thanks for this timely encouragement. This morning I was not even strong to pray as I felt I have believed God in so much that is going on in my life, lived in faith expecting His intervention but I felt let down by God. I hope to rekindle the mustard seed-size faith on the unseen. Pray for me. This is a start of a “new thing” for you, Phyllis. Be encouraged. God will bless that small belief you are forging right now, mightily. I’m sure of it. Wow that’s so powerful. You’ve encouraged me to keep my eyes fixed to the Lord during this time of my trial. God has been faithful to me and my family. I put my trust in him with the Goliaths that I’m facing now. Thank you to both of you. May God bless you and your families. This was exactly what I needed to hear today. I many times forget to think like this. Thank You. I’m in a place where God is constantly requiring me to shift my perspective. Today’s devotional was a great reminder of how powerful what we choose to see is in regards to the outcome. I’ve seen Him move mountains in my life and I choose to believe He will do it again! I’m stepping out on faith as my new season is before me. Trusting God and keeping my heart and mind stayed on Him for He has great and wonderful things for my future! Facing battles and about to face still more it appears. I need to be even more battle ready to face each day and help others face their days. We’re supposed to share what we learn, so we really need to learn our lessons well to share with the next person facing battles. Blessings. I have felt God calling me to something for awhile now but I’m unsure what that “something”! I’ve been reading about faith and taking one small step. My hope and prayer is that with that one small step God will show me what He’s calling me to. Sarah, Little steps taken day by day, turn into miles after a month, 3-months and a year. I’m always encouraged by God to just do a little thing in a little day. I hope that helps you move along. Good steps to remember when things don’t seeem to be progressing in my mind. Exactly what I needed to hear. With God I am victorious. Regarding being battle ready i had to ask my self the question if not now when? If not you then who . I realize each If us either we are faced with a battle , just came out of a battke , or preparing to go thru one .the key to winning is preparing the mind what a timely book. I have battles everyday Patients is my biggest challenge, I care for my 90 year old Mother-in-law in my home. I would Love a copy of your book Kelly. I also read your devotion everyday. I love this!!! Thank you for the reminder. This is exactly what I need! I to easily lose sight of my hope during trials,allowing fear to make me ineffective. Thank you for this! I was laying in bed early this morning with no hope. I didn’t care. I have been sexually abused by my brothers in grade school, a friend of my Uncle in grade school, then my very own dad started in, horrid horrid sexual abuse all the way into my adult years, and even a priest. I have suffered beyond any words I can tell you. I have no words. And today I was done. My heart is just shattered. And I checked my email and found this. Thank you. Thank you so much. I’m so saddened by your extensive suffering and pain, Jodi. I’ll be praying for you as you “pass through the shadow of death” and move into a season of restoration and healing. You are a beloved child of the Most High God valued more than words can express, but known through the sacrifice of Christ. Through prayers, may you feel His presence, His warmth, His comfort, and His protection. Focus on Christ, Our Heavenly Father and the Holy Spirit, and the fact that by being open and vulnerable to all of us reading these comments, you in fact have opened the door of opportunity to be fervently prayed for by all of the believers here in this group. I too am praying for you Jodi. Please do not give up. God has a plan for you. Trust Jesus! Continue to fight the evil one. It is a battle and God will prevail. I praise God that He met you with these words. You ARE NOT alone. God, will you please draw close to Pamela in ways that mend her heart. Pour out your love on her. IN Jesus’ name. Father God, I ask you to intervene in Billie’s family. May all attacks be fended off, in your name. Come as Rescuer, Deliverer and Savior. IN Jesus’ name. Love this! Thank you, I need this reminder today, and always. Gods *love-notes* through this message to me/us. Again, thank you. Thanks for the devotion. .Sometimes battle comes when you least expect them.It is good to be battle ready at all times. It’s exactly what I’m doing right now! Choosing to choose faith! God has given me so much. I am ready to work on having ‘David-like’ faith! God is always on time, giving you that message of encouragement when you need it! I opened up my email this morning and read the message, and it was just what I needed to have assurance of God’s helping hand. I know I am not in this battle alone. I want to be battle ready and rely on God’s faithfulness! Thanks for the encouraging words and the reminder of howGod works in and through us. I have been in a battle for over six months. It has been hard at times to continue to believe. My faith has been as small as a mustard seed as the circumstance seems impossible BUT All things are possible with God. The battle belongs to him so I will keep my eyes on Jesus! Thank you for your encouragement in Christ. I have a friend who lost a child and her comment was that, God gives his toughest battles to his strongest warriors. I think the only way to be battle ready for anything in life is to have a strong faith, but faith is challenged by the “battles” that come our way, so being prepared can help keep our faith on solid ground. Taking every thought captive is something I’ve been working on lately. It is so easy to get discouraged and to allow “others” to control who I am and not God and His faithfulness! This so encouraged me this morning! It reminds me of the song! – God is on the move!!! I need to remind myself of who He is and who HE says I am ! He is the same God yesterday today and forever. If he deed it then , he will do it again because he is bigger than the biggest and greater than the greatest. Oh how faithful God is! I have been going though a significant journey of restoration and found myself getting swallowed up in the intensity and endurance it takes to push through. I realized this morning I just wanted to run. Run where, where would I be able to go to feel “safe”? Then God began to show me what I have been doing; looking at me and not Him! This message has brought me full circle back to throne of my Lord. Thank you Jesus! I chose to see God in this and know He will stay by my side until I get to the other side of this particular journey. What a great reminder! Thank you for sharing this with us. I want to be battle ready! I always see the problem in situations. I always focus on the negative! I need help training my mind…thank you for this book!! We are facing a giant with our oldest son and he is facing the giant not wanting to use God’s weapons. Please pray. Truth from God’s Word. My whole household is in battle, has been for a while now. Without our hope in God’s got this, we couldn’t make it. We would sink.Battle Ready every day! My, my, my….did this ever come at the right time. I am battling and struggling with a situation in my life, the weight was too much yesterday, so to distract myself I decided to work on the church’s FunDay event to the theme of David and Goliath. Thank you for being God’s messenger. Giants can in intimidating. Trust can be hard. But God IS faithful! This phrase stuck out at me:” Nor did he try to please or appease Saul.” I have been trying to do this in my life, whether at work or home. God is faithful, thank you for an eye-opener, thought provoking line. Most days I feel God has me on assignment with my marriage. It’s more of a battle now than ever because my husband has to have surgery due to his past decisions of not quitting to smoke. Am I ready for this and trying to meet the demands of my full time job? Most days I am at peace because I know that God got me and this situation. Thank for the encouraging words of being Battle Ready and seeing beyond this Giant. Loved this devo! God has been speaking these words to me often for quite a while- and now – 3 times today alone! Th am you God for speaking to me!!! Would love to read this book! Sounds like so many of the battles that I face..
Oh how I need this book! So much change and uncertainty in life at the moment. But I DO know we have a God who is Faithful. Hope for the best and prepare for the best, is living Hen 11:1; NOT Hope for the best and prepare for the worst that is defeat thinking. Thanks for the reminder that we our all Davids trying to go against the giants in our life. With God’s shield of protection and our willingness to persevere we shall win this race. Thank you Jesus! God is always there for me! I’m so ready to be battle ready! I just lost my mom last week. I’m not only mourning her loss, but dealing with all of the aftermath of family dynamics and being the peace keeper. It’s exhausting and I find my hope in scripture and good resources that return my focus back to Him and His promises. At times, I struggle with my faith. I ALWAYS find peace and reinforcement from the journey of others. I am not alone. Thanks for this devotional. I do face a lot of battles in my life at this time. My 17 year old son had renounced his faith in God. My husband had an extramarital affair which resulted in the birth of a child. It’s been 4 years and it continues to be painful at times. My daughter I discovered is sexually active outside of marriage because of issues she faces with her dad. (Not wanting to get married because her dad cheated on her mom). It’s complica and sometimes I wonder if it will all resolve with time. Learning to trust God More and more. Total faith and trust in GOD is a must. Change can be so scary! I’m in the thick of a major life change right now. I try to focus on God’s faithfulness, (He has never let me down)… but then doubt and fear creep in. It is a constant battle, but I praise Him through it! It’s times like these that God is drawing me in. I am totally dependent on Him to get me through each day. That is exactly where He wants me to be! Praise His Name! I am so ready to face the Goliaths keeping me from God’s plan for my life, and I would love to read this inspirational book! Awaiting the results from the liver biopsy on the mass on my liver. I’m only 52 years old. I need to be battle ready. God’s timing is always perfect! This devotional is an example. Thank You! Feeling fearful of the battle…yet know victory is on the other side. Would love to receive a copy! Thank you! I would love a copy of this book. I am struggling in this season of my life. I have just resigned from my position as secretary at my church. Our church has been without a pastor for over a year now. I am battle ready as I believe God has called me to be part of reaching out to our community now after four years of healing from a bad church sit. He has called me to battle for my sister in prayer who is fighting cancer. I am battle ready from living with a husband who is under the oppression of depression, from losing my Dad and a family split. I believe God has readied me through all these experiences to be battle ready. I LOVE THIS!! Yesterday I was appointed as the new Executive Director of a thriving pregnancy resource center in a busy college town in Texas. I have been the associate director for 14 years but have still been struggling with doubt and sense of insufficiency. The Lord had already spoke to me through His Word this morning before I opened my email but this post was such a blessing and encouragement to me! “Faith won! It always will! If we let it! If spiritually we choose to see it! Thank you precious Sisters for the encouragement! The battle is the Lord’s! Boy, for I need this. Great point of view! I have never really studied David’s story this way. Thank you for sharing! I love that comment…”if we choose”. FAITH IS A CHOICE! One we have to train our minds to do. It takes time and I am thankful for a book that can give us some instruction on how to change our thinking and to train our minds to go in a new way! Mustard seed of faith in my life. I feel like a burned out wounded warrior and everything is definitely not going as I’d hoped. I could definitely use this book. Thank you for the reminder to look back at God’s faithfulness in the past. Thanks for this, today. I needed to read this. I know that I would learn so much from Kelly’s book. Thanks for the opportunity to enter. Thank you. May God pour out His blessings upon you. I have been in a very difficult place financially which has effected all of my life. God ordained that this email would come to me at this time. Praise God. I am Battle Ready – or t least I want to be for August 8th when my husband and I begin an intensive therapy session with a trauma specialist to try and save our marriage. I will need to learn and turn to Battle Ready skills coming out of that session because no matter the outcome, I will need to rely on God to help me through this place I never imagined I’d be. I NEED to be Battle Ready! Even today; I am facing a situation with a past friend, that wants me to do something with her, and I just do not feel led to do it. In fact, the word from God I received was, “Be very careful!” I told my Pastors wife, and she agreed. I am very compassionate -(in fact, I was told that God wanted me to write a book on Compassion, and I have no clue how to do that!) Anyhow; I get my feeling hurt very easy and oh my goodness, the evil one loves to tear me down. I feel this book would be a great addition to my learning on how to be all I can be for the Lord! The words about God’s past faithfuln3ss and what I do have especially resonated with me. I’m coming out of a catastrophe in my marriage that resulted in a suicide attempt. If not for God’s word and my faith, I could not have successfully faced my giants. I have clung to spiritual books for comfort and strength. I am my worse ally go into interviews with the greatest flow of energy and conversation then sabotage myself by allowing the enemy to come into my thoughts with my seven year old daughter diagnosis of (will she really be ok if I join the work force again?) I notice these triggers and need to release everything to he who’s greater. “Focus on a small mission each day”- now in my planner/journal. This I need to remember as the summer ends and the school yr starts soon- I get overwhelmed and defeated before my day is really started I am positioned in the right place for the right people at the right time. Focus on just the day’s small mission and do the same the next day and the next. We have a faithful God, yesterday, today and forever. Thanks for the reminder God’s plan are not always my plan or what ‘I’ want……I just need to be battle ready for his plans. There is no victory without a battle! sounds like a book I need to read; life has certainly not turned out how we expected or even felt we were entitled to; ready to do battle! would love to win this! I am facing so many battles I have breast cancer my mom is not knowing who I am an my daughter is struggling with so may things an my sister has brain aneurysm. I pray a lot but trying hard to have the strong faith I know I need to face all my giants. Right now our small group is doing the study “Enough” and are learning to be Battle Ready. It has provoked some amazing conversations around the table and will definitely share this book with my group as well. Thank you! Trusting God in all things and know that by the grace of God you are saved. Standing up for God, making a difference yet being tossed around and flatten time and time again. Wanting so much to be able to speak and move forward and to be vindicated. It will happen as God was and is. I am in the midst of a battle right now with a husband who is unsaved struggling in his job and all he sees are what is in front of him. I’m choosing to look to God and trust his love and faithfulness. I want to be battle ready! Thank you both for helping us to fight the good fight. Lord, I want to be battle ready. I want to stop focusing on the problem and start focusing on You. Last week, my SS lesson was about David and Goliath! The writers emphasis was on Sauls character vs. David’s character. Sauls feared Goliath and could not face him. David had faith that he was going to defeat the giant. Faith over fear! Guess what? It worked then and it works now! Thanks for sharing and we all battle in some way with so many things. Some small, some large. But so thankful that like David we have stones to cast at those giants, God’s awesome powerful word. May your day be blessed and your giants be conquered…………………….. The battle is all around me. Oh, God, make me battle ready! Great insight; can’t wait to read the book. This is so timely for me! Thank you for sharing this! I’m battle ready! . . . Just need a little pep talk. I would love to read your book. Yes, I am ready to be battle ready. God’s grace is sufficient. I am ready to battle the thoughts and doubts that Satan puts in my mind a life. It’s great to see simple truths from God’s Word explained to us in easy to understand language. This would be a wonderful read while i am in the middle of my storm. I am on the verge of bankruptcy, my children have all recently told me of abuse they endured as children that I knew nothing of, my husband and i are about to let our home go so that we can move in and care for his elderly parents. I lost both of my parents to cancer and alzheimers. this would be a refresher for me. Like most of you, I have giants too. But, thank you that God is above ALL things! I have faced many challenges these past two years, after losing my daughter, moving from the home I raised her in, helping my newly disabled husband, and beginning a new job. I began noticing that every day, I would find a penny lying on the ground somewhere in path of my daily commute. We were discussing faith in our ladies class at church, and I told them God was sending me physical reminders to trust in Him. It is very amazing, but over the past few months, I have continued to find those pennies, perhaps not every day, but especially when I needed a reminder that “In God We Trust.” I am so glad I have a personal relationship with the Father and can sense His little encouragement nudges. I try to stay battle-ready, but it is a daily decision. A much needed word of encouragement today as I face the “Goliath” in my life. This is ON TIME as I’m battling at work. God is faithful and continues to encourage me wirh His word and with devotions like this. Thank you two ladies for sharing. Today I will focus on the small Mission and not get overwhelmed by the bigger picture and the things around me. This sounds like a book that would remind us to remember what God has done so we can go forward and not stay behind in fear or doubt. I need those reminders! I am ready to be battle ready, I am facing the giants of a naracisstic ex. God has guide me and I am ready for more. My kids are in a tough place when they are with him, sharing with them how to be battle ready is the only way to survive. Gods got this too! YES!! I’M READY TO STAND MY ground and take back what the enemy has stolen from me!! Thank you!! I am SO ready to be battle ready! My life is very blessed. But lately illness, my aging, aging parents, broken dreams and what feels like a tiresome schedule seem to have the upper hand. I want to be ready for what’s happening beyond right now. Thank you for this devotional today. I look forward to reading your new book. I’m in the biggest battle of my life! It is not flesh but spiritual. My armor of God is on to stand in the gap for my husbands salvation. That you for your words of encouragement today! I love it!!! Train your mind….that’s where it all begins. Everything we do begins with a thought. I have to give my thoughts to God and ask Him to erase anything that’s me or from the enemy. I need help in the battle. Ever since I almost lost my husband in an accident, and then we lost all of our parents one by one, I have developed trust issues. Not that I have an entitlement issue; I know we will all have troubles. Jesus said so. I am just unable to fully rest and let my guard down and experience joy because I suppose I’m trying to prepare for that next blow. This book sounds like what I need because I WANT to live fearlessly for Christ and live victoriously. I am really trying to focus on my faith right now. It’s easy to falter when faced by tough times. Looking forward to reading this book. Our mind is the battlefield! I would love to have this book to better keep on track and know God’s got this! Thank you! This has been the most challenging year I’ve ever had. My finances are not right, I’m separated and fighting for my marriage, and my career has been stagnant so I started school for something different in the same field. I’ve cried a whole lot, prayed, talked and prayed with friends. The thing about all of this is I’m the closest to the Lord then I’ve ever been. I wouldn’t change anything because I’ve grown so much spiritually. Thank You for the words of encouragement and remembrance that we have to trust GOD in all things. I’ve been feeling a little down about my living condition, But I have to believe that GOD will make a way! I have my armour on!! Battle Ready! I want to be ready to be battle ready like David because everyday we face a battle if it’s not a battle with our kids, it’s a battle in our job, or maybe in our marriage, or in our mind. The one in our mind it’s the worst one because that one you can’t run away from and it just won’t be quiet. Thank you for your post it encouraged me and that’s the way we should look at the Goliaths in our lives, the way David did with faith, trusting in God, and ready for battle knowing God will back us up. I am ready, I know my God goes with me and is for me. I am thankful I am HIS, and HE loves me:) Thank you for this devotion. I needed this so much today. In the midst of a volatile marriage. My husband’s drinking has increased immensely over the last few years and thus his behavior and words are also affected. It is having a negative affect on our children and grandchildren. The most frustrating part of it all is that he is a believer. He claims he has never been closer to God than he is now. I tried talking with him about it but it makes matters much worse. I feel like I am facing a giant in this situation. I pray that God will guide me everyday in how I speak to him and interact with him. I don’t want to make matters worse with my words or actions. I need help. This article has reminded me that the battle is the Lord’s and He will see me through this time in my life. Thank you. I have been struggling since my step son passed away 4 years ago. If I am meant to read another book, I trust God to be chosen to win this book to support the battle in my mind. Thank you for my emails. Enjoyed your devotional. Thank you for the reminders of what we can focus on when our world isn’t what we want or think it should be. It’s easy to forget in the moment that God is with us and has a good plan for all things. Always be ready to listen instead of speaking. If we pay attention to what is being said, in most cases, we find and see our answers. We need to be able to turn off our minds and wait for the silence and it is then when we hear the words. Today’s battle is God’s opportunity to grow our faith. Looking back on His provision helps us recognize His presence through every situation. Thank you Sharon for featuring Kelly Ballarie. It was through GIG that I became acquainted with Kelly’s Purposeful Faith devotional. Faith and belief are something I have struggled with my entire life and I find both of your devotionals encouraging and uplifting. The battle is on! I recently went to a women’s conference. We learned about the giants we go through every day. But we were also reminded that Jesus won the biggest battle ever in history. The battle of the cross. Make these giants…….just small things. Next to the cross, they become small things. I need to be battle ready! I need to be battle ready. My husband took his own life in March and I am struggling with insecurity and my self-esteem. God has been faithful but I sometimes feel so alone and abandoned when I know He is always there. Thank you for an insightful devotion today on a topic I am dealing with lately. Finding strength in the scriptures is how I have chosen to deal with it, or rather allow God to be present in my going through. Love the story of David. I want to see beyond the mountain to the Lord! He’s in charge of the mountain . I so need d to read this right now. You see I am in the middle of a messy divorce. During most of our marriage my ex was an alcoholic and the kids and I suffered great mental , emotional and physical abuse. For several years he did not even hold a job. I finally put him through rehab and he is sober now but the damage was too much to repair. I left and he filed. Now my wages are garnished for $654 a pay check. I feel forgotten and my faith has suffered as I struggle to see how this is fair. I am drowning in debt as I struggle to provide basic food for my kids. I needed to be reminded to look at how faithful God has been to me and where he brought me out of and stop looking at he giants in front of me. Thank you! I battle daily, I battle to stay healthy (chronic Illness) to stay focused and to trust myself to trust God. I know I can but struggle some days with the mental battle. thank you I am printing this for my fridge. battle as we follow and dare to trust Him. Very uplifting to know that i am not alone in my battle. God has always been there and guided me through the valleys. He will continue to do so. Thank you for sharing and reminding me to remember what God has done in the past; what He has provided for me; that His promises in the Word hold true today. Bless you! I had 3 Giants: Lose a Son at 17, 2 Sons have 30 year life sentences, and daughter into something, she knew nothing about, drug. But that mustard seed of faith was my guidance God and I had together after loosing housing and almost my health without knowing who my earthly father was, I found the only father that spoke to my heart and I won’t let him go (God) and I thank, read, and talk to him everyday. If God be for me, who can be against me. All things are possible with him in my life. I have to focus on his past faithfulness. Just one smooth stone. I want to be like David and trust and never doubt. Awesome morning devotional reading. I am ready to be Battle Ready and victorious in life! Thank you, this is a good reminder. I seem to look st the worst case before looking at what God has already done or can/will do. Thanking Our Heavenly Father that He promises to be with us as we face every battle! That He will never leave us nor forsake us. As He was with Joshua, we are not alone He left us with the Holy Spirit to rely on He will comfort, help, strengthen, lead, guide and empower us. And without faith its impossible to please Him! WE so want to please Him! Know that we truly be encouraged by this book! Bless you for encouraging devotionals! I am getting ready to face a gaint or giants. I am an educator and I work in a rural high school. I got be focus and orayed up. Facing a difficult challenge right now after a long one. Battle fatigue has set in; could use a boost! “The Battle Belongs to the Lord”…a song I will have on my heart the rest of the day. Thank you for these much needed thoughts! I am so battle ready. I have been through so much in this life and God has always given the victory. But when I am faced with something else, I forget that God is in control and I worry and fret even though in my head I know that God will win this one too, I just haven’t gotten it to my heart yet. I so want to trust God with everything that is within me. I an BATTLE READY! When I feel overwhelmed, I seek to listen to God and seek his strength to get me through each day. Psalm 40 is my recent go to. What a beautiful reminder to always trust in God no matter what you’re going through. Thank you for writing the article. Thank you for this devotion today! I have just begun a new “season” – my two boys, age 29 and 21, just lost their father, my ex-husband in a motorcycle accident this past Saturday. I am trusting that God will lead us by the hand and guide us through the day to day, month to month, year to year that we have to get through. Would love to have a copy of your book! All I can say, “RIGHT ON TIME” this has been on my heart for a couple weeks. Things have happen in my life and I fill my faith is struggling. Thank you for this message today. It was a message to me. This is an AWESOME lesson on how to battle what faces us daily. We all have battles, and will until God calls us home one day. However, from your lesson, it tells us its all in how you fight the battles in your life. Faith being the key to success. Thanks for such insight and understanding of how to battle the demons we face. Just what I needed at this time of my life. So many decisions to make. I am ready for battle. Thank you for the inspiration. How awesome to hear God’s word in your life when people fail you or have become distracted. From time to time you just have to stop and trust when God makes a way for you to hear His words. Woman have to control and manage so much we don’t pay attention when our gas odometer gets low. We have to refill. Your email is my recharge or fuel today. How did you know my negative thoughts and outlook needed to be reboot? I want to be like David! So true and applicable for the giant I currently am facing. I do tend to focus on the situation I see in front of me and then struggle with trusting God in it. Thank you for reminding me of where my focus needs to be. I’m facing a battle today and needed this perspective. Thank you so much! I believe God has amazing plans for me. I am trusting the Lord to care for me as I am now a widow after 59 years of marriage. God has been faithful to me/us in the past as we raised our family and will see me through. I am ready to learn the proper way to battle. This was just what I needed today. Today I choose to focus on you Lord, please strengthen me. Beautiful devotional! Like fresh water, in dry land. I so much needed to be reminded of what I have in Jesus Christ through faith. I have had health issues for so many years and Satan has used this to mentally pull me down! I have dealt with not feeling worthy to do anything in my life. BUT through faith in my Heavenly Father I have been determined to live what few years I have on this earth to do what God has planned for me! I am determined that my health WILL NOT bring me down! I AM ABLE!!! Thank you for your service to our God! I’m tired up to INTENTIONALLY take EVERY thought captive, and if it doesn’t line up with the TRUTH of what God says, I need to replace it with TRUTH, thinking on things that are good, pure, acceptable, and of a good report! God bless you bbqbas we are all like iron sharpening iron! I desperately want to be the kind of faithful that can remain disciplined to focus on God’s past faithfulness and focus on what I have rather than what I feel I lack….so many years of practice and yet I fall short in the heat of the moment and wind up feeling both abandoned and as though I have betrayed my God. The mind is a battlefield and I want to be a warrior for the Lord, fearless because my God is bigger and I am able to trust Him. Control and trust are issues I have long struggled over; I would love victory in Christ over these obstacles to peace. We are living in constant transition since last September when my 88 year old mother moved in to live with us. Coping with her perception of her health issues and her mind set is a far bigger battle than I had ever dreamed…..so, I need to learn more and more about being Battle Ready. I need your book to lift me to a new level. This has been something on my heart lately with so much going on all around us all the time. We really do need to remember who God is in us and who he’s called us to be. This is a great word for the body of Christ to hear. Thank you! i am starting a new busines..i have procrastinated for a long time. i realized that the battle was within myself. This is a message for me. Working with a supervisor who does not get you and wants to put you down, living in a marriage which is NOT it at all, working in 2 posts at once and wondering if you are really good enough…But I choose to trust (though my trust wavers a lot in 24hours) that all giants must fall, right before my eyes, in God’s time. I believe Jesus, please help my unbelief!!! I am so ready to battle. I would love a copy of this book for encouragement to face my struggles. This post was just what I needed today! Thanks! I’d love to be battle ready! I desperately needed this today. Thank you! As a single mom, divorced mom I was laid off from my job in April while recovering from surgery. Thank you for the encouragement. Thank you for this encouragement. It’s hard to remember that God is working when we can see no movement. I loved ‘remember three small mission’…. who knows what will happen today? God fights all my battles for me. I at times do doubt and let worry sneak in but then i remember there is a higher power that never lets me down. I take comfort in that and the praise and worship begins. Thank you jesus for your wisdom and love!!! Thank you for reminding me the battle belongs to the Lord and to Him be the glory for all things. Thank you for encouraging me to be obedient while keeping my focus on God rather than my circumstances. I am currently battling satan’s attack against a project to raise funds for an amazing cause. I need strengthening in God’s word and others encouragement in their successes to meet this challenge. I AM determined to defeat this foe. Battle ready should be every Christians position in life, but we know that is not always the case. Thank you for your devotion to God and sharing your struggles with others. WOW!!!!!!! It was as if the words were co m ing from MY MOUTH! I see what I don’t see every second of every day and it must stop! I feel like I have a strong Faith and now I know this Faith must increase by leaps and bounds! Thank you so very much for this welcomed RE-SET! I choose to be battle ready and have faith that God will position me to overcome whatever difficulties life may bring! Great and timely reminder of who we are in Christ! We are not defined by our circumstances but by who God says we are! I’m in a place of frustration,I’m living in a home that is falling down around me and I’m on limited income. I see no way out other than trusting that God has a plan for me. But life is so bad for us and it is hard to my faith strong. I have more faith to help others in telling them that God is with them and believing in it for them but when it comes to myself I’m not that strong. I smile and tell others that all is well and not tell what we are going through because I get so much negativity from people that is saying it’s my fault which I’ve made bad decisions in my life before I gave my life back to God. So I just keep it to myself. It is truly wearing me down . If I didn’t sing up for your email news letters I honestly think I would’ve already given up. Your emails seem to come in a time that has a message for me that keeps me going. I just want to thank you for your words and your emails I get. I must be ready to battle. I am ready for Kelly’s book but can not find it a Life Way book store. I read her devotions on email and enjoy them. Keep up the good work, Kelly. So many battles. Let’s get ready. Praise God He has already won! Ironically, as a seasoned believer, it amazes me how years in years have gone by and I am just now living in the revelation of how mighty and strong my God is. It is also to the troubling and dark times that we come to live in the grace And power of our mighty God. Truly he can be trusted in every situation. The Lord state there’s an season for everything, right at this particular moment I am going through a dry season, but believe or not I have found a silver lining. My husband and I grown closer to each other and God, my children now see their father in a different light. I know that my Lord will never leave me or forsake me… I don’t fear the unknown ! Why because tomorrow is not promise so I live in the now! When tomorrow comes then I will deal with the situation with God on my side. Saints don’t fret God is alive , or we have to do is BELIVE ! Due to a back surgery, I have dropfoot, a condition the Doctor said MIGHT be better in a year. Well a year has passed and still no change, but I am still Praying for recovery. God has been very good to us, and I pray that He will continue to do so. I am thankful that I do not have the pain that I suffered for so long before the surgery and will continue to pray for the nerve to heal and grow. I have experienced God defeat the evil one. Even in my darkest hour I gave everything to God and prayed and prayed and prayed. I have made it to the other side and am in a great season giving all the praise to God. He is so faithful. I Trust You Jesus!!! This was a timely article. God has been teaching me lately about the battle of my mind and how the battles are won. For me it’s about practicing these things to retrain the well worn path s in the mind. Praise God he is not done with me yet. Thank you for the word. Most encouraging and strengthening to me was exactly what to hope for /look for in faith, while going through – God’s faithfulness, victories, His promises and protection. Quote from acquaintance at http://www.WorkFaithConnection.org, who says she heard it from her pastor: “Don’t let your thoughts think themselves.” In other words, cooperate actively with the Holy Spirit working in you to change your thoughts from fearful, pessimistic, and easily swayed to strong, confident, and faith-filled. Oh how I find myself not battle ready in many circumstances and then I am frustrated when I react the wrong way. THIS is what we do have as well – community of sisters who share their hope and experience. This ‘sistering’ comes in many forms reminding us of God’s ever-faithfulness to each of us in our unique situations. We are so blessed. I put on the armor of God (Matthew 8:16), and have put on the whole armor of God, so I can withstand the evil day, and having done all to stand. (Ephesians 6:13). I have a great giant before me, and I am worn down by the battle—I stand and wait for His faithfulness. Lord, help me to give you my life, when I am at my weakest. The battle has been long and the attacks on my health are relentless, but I choose faith. I choose to believe God’s promises even when I can’t see or feel them coming to fruition. Thank you for these encouraging words today! Great timing, I needed this post today! As a “recovering negative thinking person”, I am reminded once again, that I am not the one in control, but God is and as I look to Him, He will provide what I need, just when I need it. Thank you for the very encouraging words. A nice read and reminder for the obstacles we face. Thank you. Today, especially I needed to read this and reflect on all God has brought me through. Thank You! I am in the battle to keep my family together. My husband is ready to give up on me and I desperately need faith. I’m trying so hard but it’s not my will to be done; it’s His will be done. This email hit me just when I needed some extra encouragement and at the exact same time. I could really benefit from this book. Thank you. I need this. Will begin chemo Next for breast cancer. Amen! This was such a blessing to read. I REALLY needed to hear this to face my giants. Thank you for the tools to do so with confidence now! I am in the midst of a fierce battle. I read this email and was so encouraged by all the scripture she shared which I can focus on sbdcremeber Gods goodness! This book would be. Great encouragement to me right now! I am ready to battle the giants before me. This could not have come at a more perfect time for me and my family. Job loss, health, relationship and faith battles. I am Battle Ready! I will trust in the Lord for all things. Such a good, sensible reminder and yet so hard to apply in the circumstance. Its amazing the David and Goliath comparison. I am currently reading Goliath Must Fall and never realized how my anxiety was a Goliath. Sometimes I think we just need to slow down and absorb what we are reading instead of just reading the words. Needed this eblast today in this moment. Thank you! And God’s blessings to you. I am battle ready! Lord help me to follow Your leading and not my own. Very encouraging word. It’s hard to see when you’re faced with doubt, but we have to remind ourselves to stay focused on Him. This post is so timely for me. The comfort and assurance, remembering those promises of God in scripture and then in my life. Thank you for this. This post has touched me so much in this time of fear, pain, and anxiety. I pray it helps multitudes of other woman today!! Thank you! Yes! I am overjoyed by God’s faithfulness. Thank you for reminding us that we need to Trust Him everyday. Thanks for this devotional. These are the exacty things I am struggling with right at this very moment. I am in the midst of these struggles of faith. I have fasted, wept, almost gave up my battle with life all because a daughter is angry at me and has shut me out of her life. But God knows my heart and that I never meant to make her angry. I can not control her bitterness and unforgiveness. But I can control my reaction which needs to be (none), and I can control my outlook on life each day by believing the Lord will heal everything. Oh to slay the looming giant of doubt! I want to remember what I do have and that God has helped me on so many occasions. So there is no reason to doubt or lose faith! I have so many battles of my mind that makes it even harder to win other battles. I don’t even know where to start. I would love to win this book so I can be Battle Ready and share my experiences helping other women win their battle. I definatly struggle with this in my life. I want to be like Christ. I do belive so this really helpe me today. Love the title to this – sure fits what I’m going through today. I feel blocked from going forward repeatedly in moving closer to family. Just wondering what God has in mind and want to claim His victory and the ability to trust through this time. Lovely idea to have your friend write a guest post, Sharon! Thank you, for this. I have to keep reminding myself of God’s faithfulness and what He’s already done for me. And that He is always with me and He knows His plans for me. On Tuesday, I was served divorce papers from my husband who still loves me. Bless his heart, Lord, forgive him for does not know what he does. It breaks my heart to see him self destruct by the lies of the adversary. I pray for him all day every day, defying the odds of worldly advice to leave a man who abuses me every day. I surrender to our Father in heaven to guide me on the righteous path. I accept my personal calling to save myself, my husband, my marriage, my children, and my family. I am not perfect but I am battle ready! Help me Lord to remember to turn it over to you and not myself!!! This is just what I needed to hear today. I have many battles at hand and feel a bit wushu washy with my faith! I will not give up! I am just overwhelmed by God, today I was defeated, I was struggling, but I check my inbox and there was a message from Moms in Prayer, the blog. I have a prayer group here at home, yours too! and I noticed a new author, a new book.. The name.. Kelly Ballarie, the book Battle Ready… so I clicked to go there, I found a lot of advices, guides for praying, scriptures to remember, and so many resources! I just cried… I was so thankful… but I can’t afford the book… so I thought… well, I am going to start with all this!. I returned to my e-mail inbox and there was another message, now from Sharon Jaynes… I clicked there to open and… what a huge surprise!!! Sharon and Kelly are friends!!! and that’s not the only thing… There is a chance to get a free copy!!! I cried again….. and then I read some of the verses that Kelly published and she wrote: “This I know: God is on my side. Psalm 56:9” I went there, to Psalm 56: 9 and there was this Word: When I cry unto thee, then shall mine enemies turn back: this I know; for God is for me!!!! I was crying more!!! and verse 10 says: In God will I praise his word: in the Lord will I praise his word. Our God is the only one, the Almighty God, our Father, I am so grateful!!! God bless you Sharon, thank you! I have been battling the devil so much lately. I need other believers to stand in agreement and prayer that the enemy that I see today. I decree and declare that I will not see again in the name of Jesus! Amen and Amen. It is so! I am going to step out in faith believing that my upcoming surgery in September will go just fine no matter what because God is with me and will never leave me. I trust in Him. What a blessing this book will hold for so many women! Thank you for sharing your gift with us! Some days I feel like I’m in a constant battle because I struggle daily with chronic back pain. I really enjoy reading your emails. They help me to make more sense out of my struggle. God bless you & your ministry. I want to say thank you very much & send blessings your ways, in Jesus name, Amen. Battle Ready….when I see these words it lifts my battle weary soul. I have been ready! I can be ready….again. I am willing to be ready. I am Ready! Thank you for the great insights! I’ve never thought of fighting the enemy as being battle ready but after reading the article today, I’m definitely “battle ready”! Keep up the great work you do. At my son’s funeral, the Lord led me to face the Goliath of his not feeling loved for a fateful moment in time. I have never had feedback on that message, but knew it was what was burning in my heart to do and I would never get a second chance. Only in Heaven will I know for sure but God….. is faithful. I am SSSSSOOOOO BATTLE READY!! I’m thankful that Jesus fights the battles for us. We just need to trust him and allow his timing. This sounds like a great book.I would love the chance to win and read it. Staying battle ready. Been through much but ready to keep fighting the good fight! I was just think about the rejected brother and that God looks on the heart. He doesn’t pick you any other way. Thank you for this message. I need to remember to focus on God’s faithfulness. I want to be battle ready! I am preparing for a business to be an ambassador for Christ and doubt is LOUD!!! God is amazing. He knew what I needed , when I needed it, at the perfect time. When I read the post it felt like God was talking directly to me. This post reminded me that no matter what battles I face, God is working behind the scenes to bring something goods out of it. Thank you for this word! In Jesus name Battle Ready. Wow, this is exactly where I am! I do okay for a while, but then I keep hearing ‘God wants to provide, ‘God wants to heal you,’ ‘God will restore what the locust have eaten,’ etc. Yet, I prayed, faith believing but nothing changed. I just told God a few minutes prior to reading this that I just don’t have faith any more. Not true, but that’s how I feel at the present. Now to remember that lion and bear and press on! Thank you. I have the faith of a mustard seed. God is with me in this constant battle with my ex. So need for the battle I’m facing rigjt now. Thank you for sharing, I also get your emails daily and enjoy your devotions and find so much truth in them…. I live the story of David, but this is so true how we only see what’s in front of us and fret and worry because we don’t see the other side where our giants are being defeated…. Oh my, this speaks to me. I struggle daily with family, relationship and financial issues and I’ve seen God move, yet still need reminded daily of His faithfullness. Be open to seeing God’s hand in everyday things. My husbands recent job loss has become a bonding time for us and a much needed rest for him. Slipping and falling, I needed stitches in my arm. Being the weak stomach I am in seeing blood, I would have passed out and laid there for awhile alone, but being my husband was home he was able to get me to a doctor. Trusting God will provide a new job for my husband. I have to believe that God will. Great blog! I so would love to learn more strategies for battle! Somedays the battles are so heavy that I think I’m going to implode right in my chair at work. I am in the middle of doubts myself sometimes, but I keep pressing forward and remember what God has done in the past. I really need this book. I struggle a lot with feeling ok, and bouncing back to not being ok. This will be the PERFECT book to follow Sharon’s book, Enough…..I’m overcoming giants and breaking FREE baby!!! This as just what I needed to ready today. Thank you. In order to be battle ready I must stay “ armored up.” Each day I must intentionally put on my battle clothes eg. helmet of salvation, Breast plate of righteousness, shoes of peace and most importantly the Word of God. I am in this place right now. Battling Giants and feeling overwhelmed at times. Yes, I know God is in control and yet sometimes I wonder where He is. At times I feel like I’m fighting a losing battle and I have to sit back and wait. Thank you for putting this out there. I want to be battle ready!! 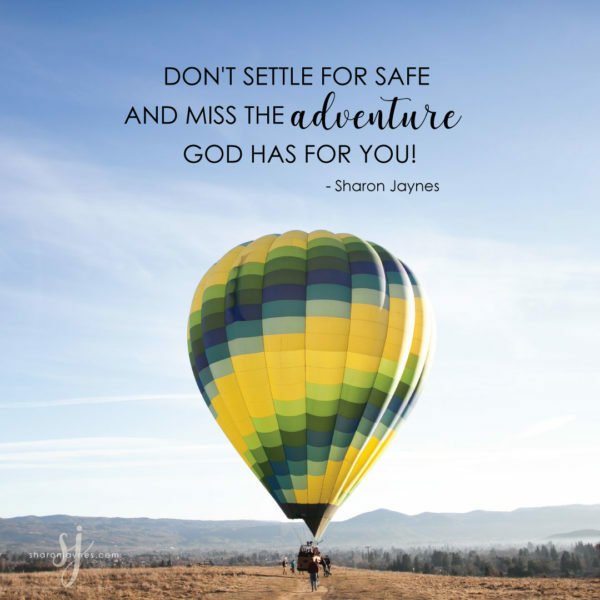 Oh, Sharon, this devotional spoke to me in a “giant” way. (but a good way) I am so ready to do battle, and this book would help fuel my mustard seed faith in my Lord to pull me into, and sustain me through the battle. I’ve just read Kelly’s book, Fear Fighting, and it has given me much strength in my uncertain, terribly painful circumstances. Through prayer, scripture, GIG daily devotionals, & her book, I am able to fight through the pain and be the wife, mother, sister, daughter, & friend God wants me to be. I want Kelly’s book next book, Battle Ready! 🙂 thank you!! In my weak state I just prayed “if you don’t change it, please give me the strength to handle it”. Thank you for sharing your insight into battle. Point #3 strikes a cord with me when it comes to doubt. Whether perceived or expressed doubt can easily influence me. Focusing on God and His will for me is a perfect anchor. I strive to see myself as protected by God’s armor when facing those “Giant” days. Powerful! What a great exciting book, which I look forward to reading. I have been studying more how so much of what we may go through is affected by the battles ongoing in our mind based on past upbringing and true and untrue negative thoughts about ourselves. These are territory for Satan and affect so many of our relationships. Looking forward for more strength and guidance in the future in this area. Every post from this book sends shivers down my spine. So amazingly on target for the long season I am in…and a tremendous blessing. Authentic, straight forward TRUTH…thank you so much! I want to be battle ready. This is EXACTLY what I needed to hear this morning! I will choose to cling to the mustard seed sized faith – in the face of the massive giant facing me. On my knees I will fight and on my knees I will win! David is my favorite character of the Bible and I would love to learn more about him and being battle ready as I hardly every feel that I am. I am going through battles right now in my life and need reassurance…I want to be battle ready but unfortunately feel battle weary. I am over feeling defeated and beyond battle ready! I’m in the biggest battle, fighting a Goliath I never thought I would have to face. I need Battle Ready more than ever. If nothing else, please just pray for my daughter and me as we fight for justice to be served. I’m battle ready! Ready to start a new chapter in my life. I’m in the midst of an ongoing battle. I occasionally take my eyes off God and focus on my battle. Thanks to God, He is faithful to remind me that He has it under control. Your example of David reminds me to look w fresh eyes, trusting in the faithfulness of God at the difficulties that often confront us in this life. Thank you for reminding me that God’s economy is different than ours, a single rock can take down a giant. Thank you for sharing. God is faithful when we are not. Praising God from whom ALL blessings flow. Praising God in the sunshine and the rain! I need to be battle ready, my 28 year old daughter has been addicted to heroin for 10years now and is expecting a baby girl in the next two weeks! I need all the help I can get right now, to be battle ready, I need to have more faith in gods promises, I have seen so many times his work in place, then my Brittny chooses another past. I will continue to pray for my daughters salvation, and I just know that one day my prayers will be answered in gods timing and his name will be glorified! Thank you for talking about doubt. Sometimes it seems like a cloud hanging over my head. Thank you for the reminder that God is my strength in weakness, belief in my unbelief and the glory and the lifter of my head (especially when i feel like I’m drowning). I struggle with my faith everyday. Thank you for encouraging me with God’s words and yours. Waiting! Sometimes it seems like I can handle it and most times I’m questioning why, when, looking for signs and all that! I pray that in all these I will get to learn whatever lessons he’d have me learn. Wow, just from reading this I am ready for the battle. I realize that the battle is not mine but it is and always has been the Lord’s! Funny that the shirt that I am wearing today says, Faith can move mountains. I recently took custody of my 2 grandchildren ages 4 and 8. Their mother passed away June 23. The battle with other grandparents has started. God please help me!!!! I’m walking a path I have never walked before…my husband of 35 years passed away suddenly in June. I have never felt so vulnerable, in so many areas if my life…the struggle is real!! I am so sorry. I know this must such a difficult time. I pray God will give you comfort and guidance every step of the way. Great Title and I’m sure a wonderful book!! I want to be battle ready to walk by faith and not by sight. Sounds like a good tool to help focus on the positive and God’s timing. I do believe in my faith and God’s promises. But, I also have my moments when doubt creeps in and I feel defeated. My mom, who is 89, has early onset demetia, and my husband and I are the only children in town to help her daily. She also believes we are going through her things and placing things in the wrong places to make her think she is going crazy. My husband had foot surgery in January and developed a bacteria in the bone of his foot. He has had 4 surgeries total and may be looking at others. My job has been to keep him up, as he feels so discouraged after all this time. My handsome son told us yesterday that he has a tumor at the base of his head in the back that is benign. However, at some point in his future he will have to have surgery to remove the tumor as it is growing. The surgery could leave him with facial distortion and will require much rehab. I know God has us in the palms of his hand and I am so appreciative of the many blessings in our family. But the news of my son has really hit me hard. Thank you so much for your ministry and devotionals – they do help. I have gone from a stay at home wife with 6 kids and a husband who had a well paying job and I was involved in church, band boosters, ROTC mom and chasing kids around to various sports, to having a sick husband who stays at home I am at work 7pm to 7 am working as a CNA in a hospital and only bring in $240 after taxes and Insurance. I miss church because I am either working or exhausted I feel so defeated. I feel like God is so far away he doesn’t hear me anymore. I’m in a battle, it rages all around me. Praying the Lord will equip me and make me battle ready. Would love to read her new book. Such good reminders…”the small mission found in today”. Its so easy to look for the “big deal” but in the same way that sin can be the accumulation of many wrong choices, victory can also be the result of just connecting small right choices. Keep on, ladies! So great!!! Just perfect for my life right now and the marriage issues I’m dealing with. Thank you sooooooo much!! I am fighting the biggest Goliath right now. My family has been in crisis mode for 8 months now and we are torn apart. I have never needed my faith as much as I need it now. I know our situation is in God’s hands and he has our back. It’s so hard to be patient. I have been trying to “See Beyond the Giant” for months. We have recently moved to a different area in order to be close to our daughter because of health reasons. We put our lovely house w/acreage up for sale 4 months ago. I know this is not a life or death issue, but this Giant keeps growing in me as time goes by. I need prayers for my faith and belief that God will not desert me. I know it but my heart is reluctant to accept it. Thank you for your ministry which helps us see how much God loves us and that we can depend on His Presence and His Love everyday, every minute. We only need a small stone, a mustard seed. Thank you, what an excellent reminder this morning. Where we focus our eyes and heart always determines how we see our circumstances! I needed to see this today, as I am fighting a lot of battles right now. Id love to own a copy of your book and I am Ready!!! !